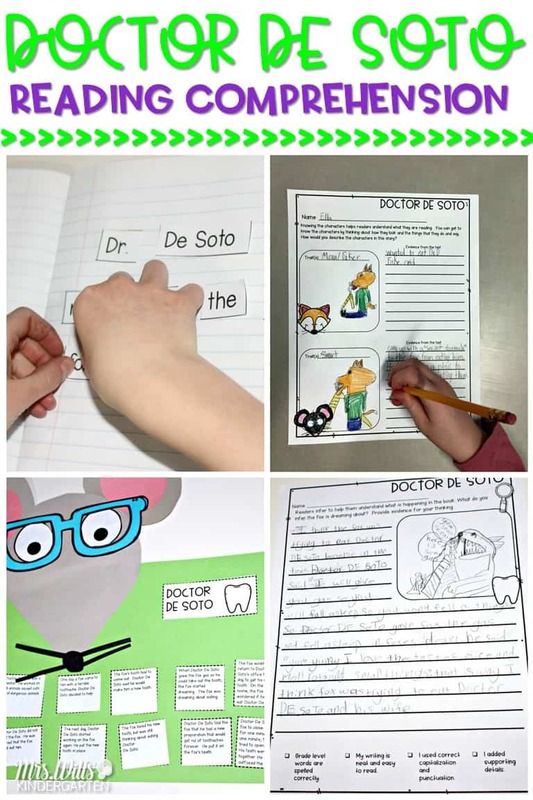 2nd grade picture book with reading comprehension lessons for the book Doctor De Soto. This is a great February read aloud book to use during dental health month. Check out the comprehension strategies that are included for this book. 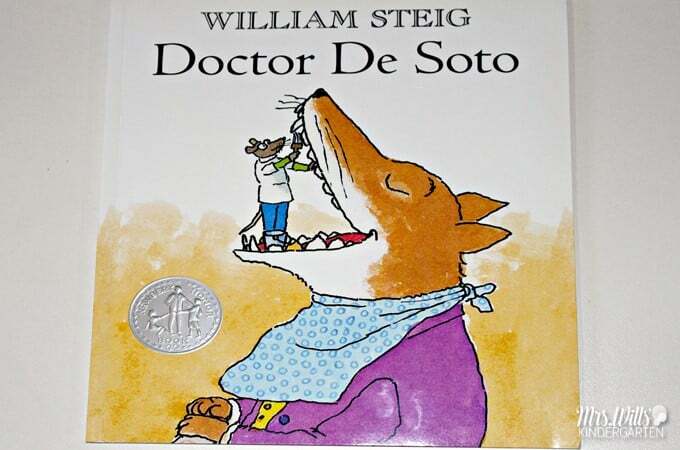 Doctor De Soto is a classic picture book for the classroom, well at least in mine, especially during dental health month. Click here for our five day lesson plan for this 2nd grade picture book: Engaging Readers 2nd Grade February. 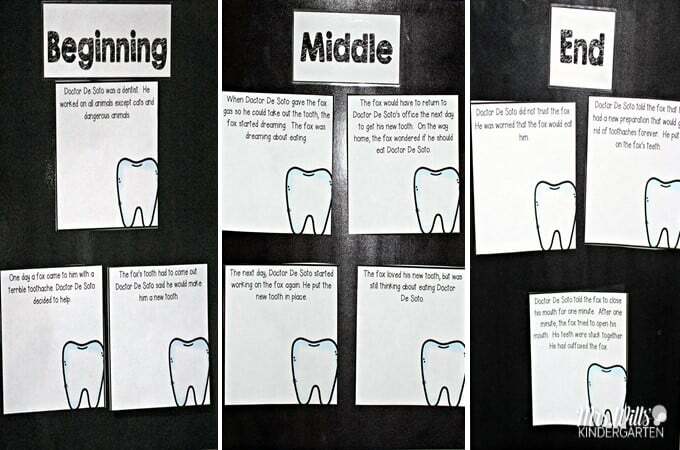 Keep reading to see some great reading comprehension lessons in action! As readers, we get to know the characters in a book by thinking about how they look and the things they do and say. 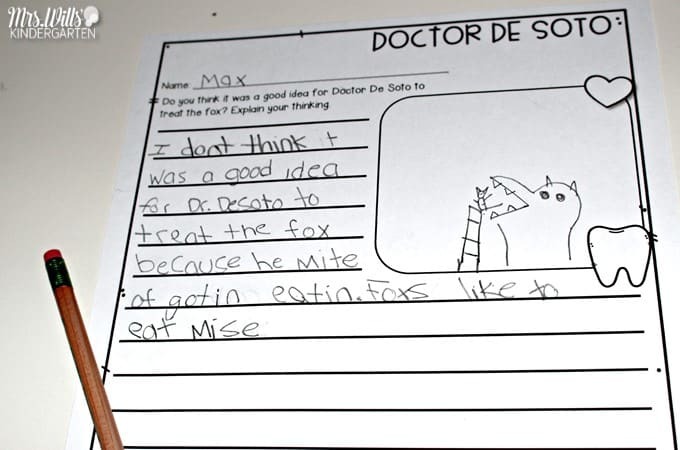 Students write and illustrate about the fox and Doctor De Soto. This is a great opportunity for interactive writing in the classroom. I’ve learned a TON about interactive writing by reading the book, Interactive Writing Across Grades and we even did a blog book study! Check out this blog post to learn more about interactive writing by clicking here. 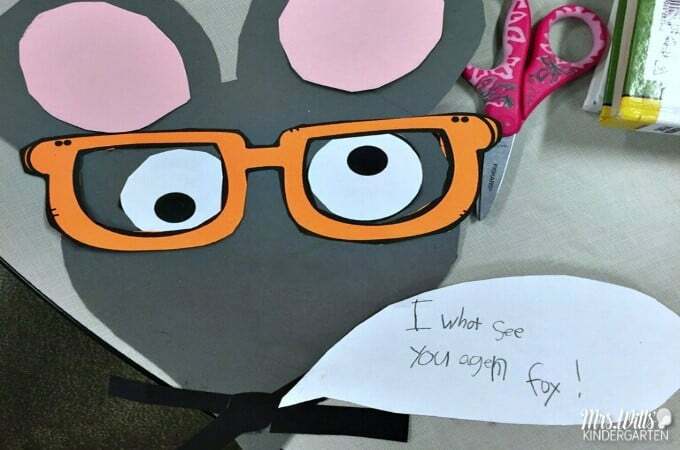 To infer, students use clues in the story so they understand what is happening. 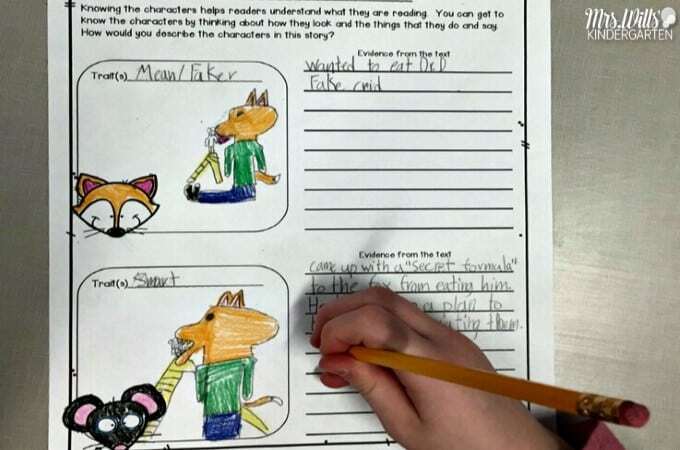 For this reading response, students infer what the fox is dreaming about. Hooray for speech bubbles! 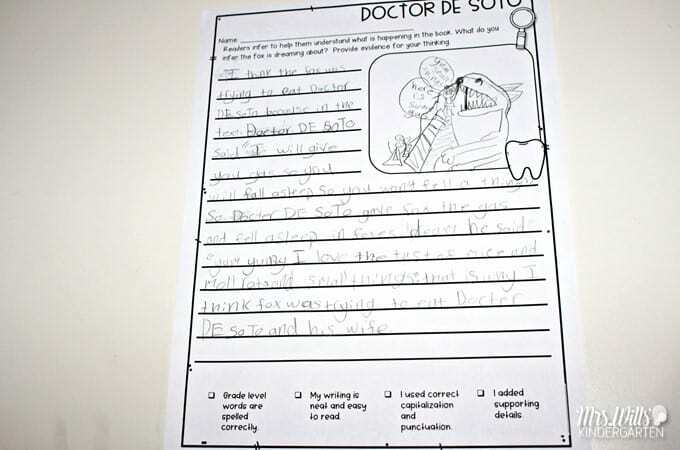 Speaking of speech bubbles… this second grade class added them to their Doctor De Soto craft! Haha, look at those eyes! I feel like that sometimes… PLEASE tell me you do, too? Story sequencing is all about reading comprehension. What a great way to develop this skill within students. 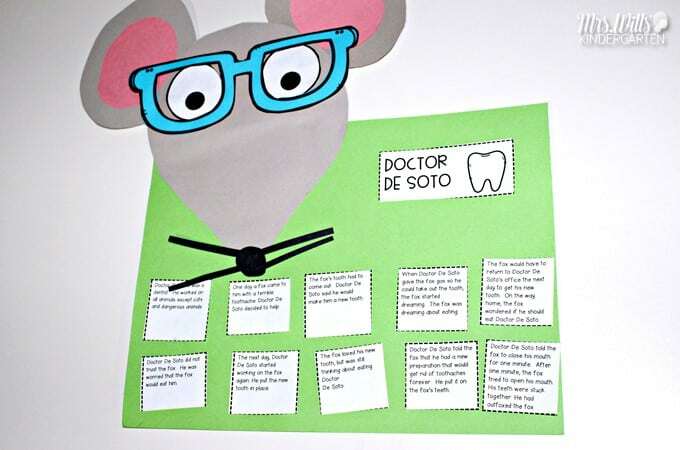 The second grade retell cards include words only because we want second graders to be reading! Teacher support is, of course, encouraged if needed. This can be done through a whole-group retell discussion. Another cute way to display the craft! I love reading opinion writing because it allows students to write freely and use their imagination! 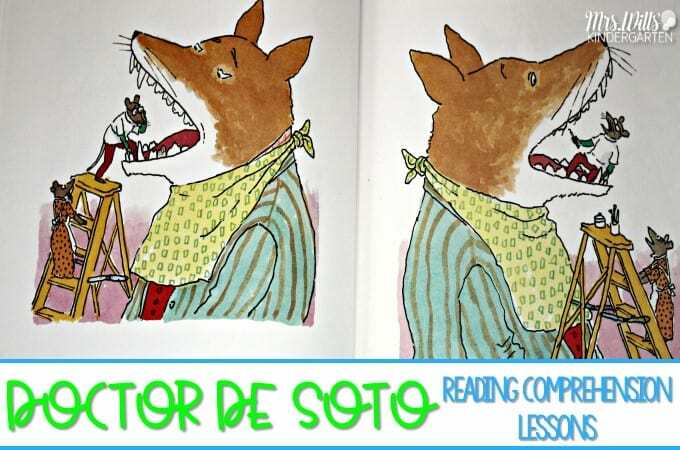 Here are a couple more 2nd grade picture books with 5 day lesson plans! Previous Post: « Number Sense Activities | Making Ten!